I really do enjoy a nice warm vegetable soup for lunch during the colder months. Making your own soup gives you the freedom to use whatever ingredients you want and it doesn’t have to take hours to cook. 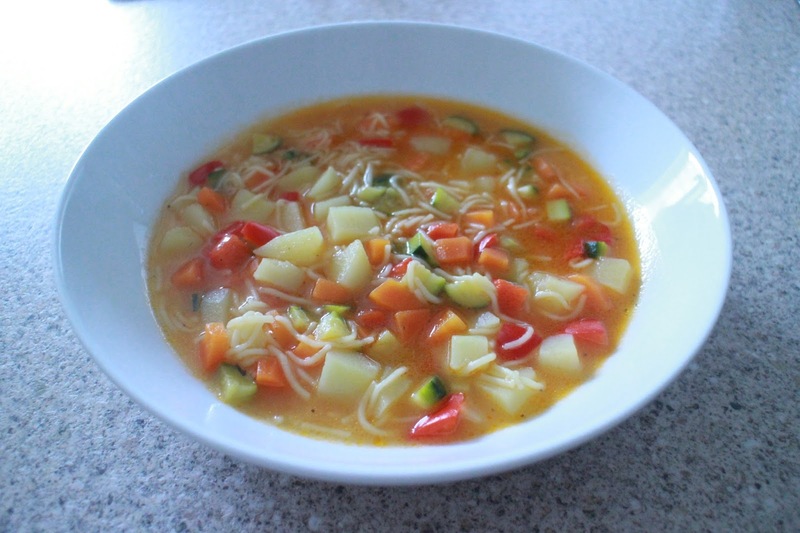 Two of my favourite vegetables are courgettes and peppers so I thought I would make a yummy afternoon soup for me and the kids using some of the left over vegetables in the fridge.